Home » News » Is Your Security Dashboard Ready for the Cloud? Most Security Operation Centres I’ve visited in recent years have embraced having a few dedicated big-screen displays, but most are restricted to monitoring the on-premise architecture such as local firewalls and servers rather than taking a more holistic approach and accounting for the increasing use of cloud hosted infrastructure and services. Security no longer starts and ends at the “front door,” with cloud playing a bigger role in more and more organisations. Here’s four things I think every company that uses cloud infrastructure should consider surfacing on their security dashboards. The traditional model of server provisioning started changing with the growth of virtualisation. No longer can you assume that new hardware would be purchased and entered into a CMDB. Making sure that you are proactively and consistently implementing security procedures helps to minimise your company’s risk, and showing compliance levels (typically through a simple percentage score) can verify not just how secure your environment is today but also allow you to track your success over time, helping to demonstrate how everyday investment in your security configuration can help improve your security posture. 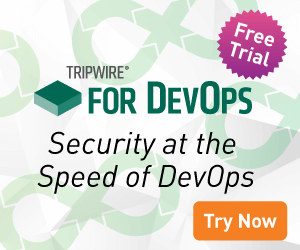 To learn more about how the Tripwire toolkit helps secure your cloud environments, click here.